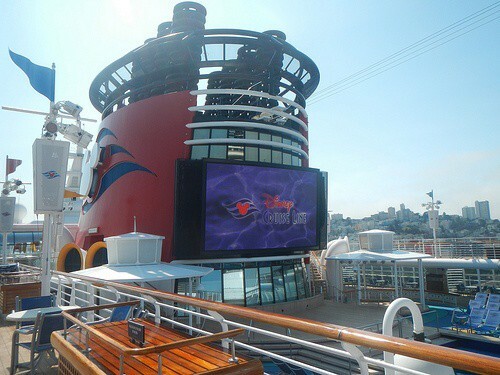 We recently sailed on the Disney Wonder Pixar Cruise and I can truly say that it was a dream come true for all of us. We have sailed on the Disney Wonder many times but this time was the best experience so far. Why? Because the Disney Pixar theme added so much to our experience. The Disney Wonder is always an amazing cruise experience but this time we got to meet not only our favorite Pixar characters but also to hear some great talks from guest speakers from Pixar studios. Roger Gould, Creative Director, Theme Parks, Pixar Animation Studios gave a very interesting presentation about the new Cars Land in Disney’s California Adventure. We had just visited Cars Land so it was great to hear how the project evolved into the amazing place it is today. My 10 year old son Jack had the best experience in his life. He got to talk to some of the Pixar movie directors and they were so nice to him. Many thanks to Andrew Jimenez (One Man Band), Mark Walsh (Partysaurus Rex) and Rob Gibbs (Mater’s Tall Tales and Tokyo Mater) for the time they took to not only talk to him but draw for him. That is a unique souvenir that he will keep forever. We were so pleased to learn that Tia Kratter was on board for our sailing. 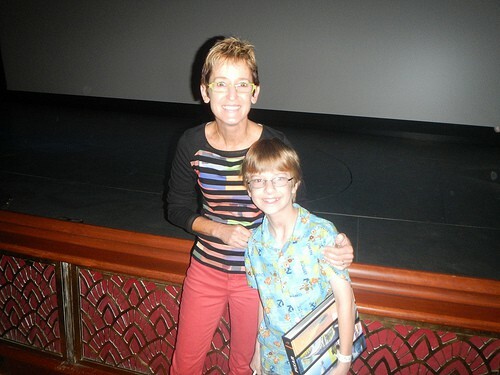 We had heard her speak at D23 and were looking forward to her talk on board the Disney Wonder. We were not disappointed. She gave a very interesting presentation about Brave. But best of all Tia really took a lot of time to talk to Jack. It was so inspiring for him. His dream is to work for Pixar one day and this experience on the Disney cruise made him even more determined. Maybe next time we can see John Lasseter on the Disney Pixar cruise – we missed him by a week. All the crew told us what a great guy he is and that he had time for everyone. We really hope that this was not just a one off theme event and that Disney Cruises will schedule more Pixar themed cruises.